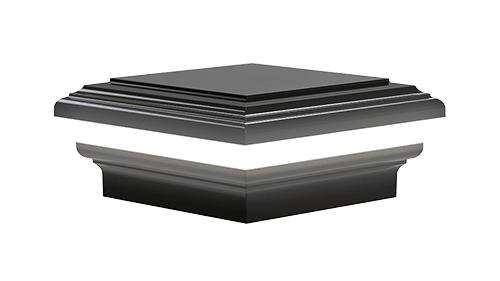 Exclusively distributed by Key-Link Fencing & Railing and Superior Plastic Products, Placid Point Lighting offers powder-coated, die-cast aluminum LED lighting systems that allow for comfortable outdoor use. These dependable products are both energy and cost-efficient. 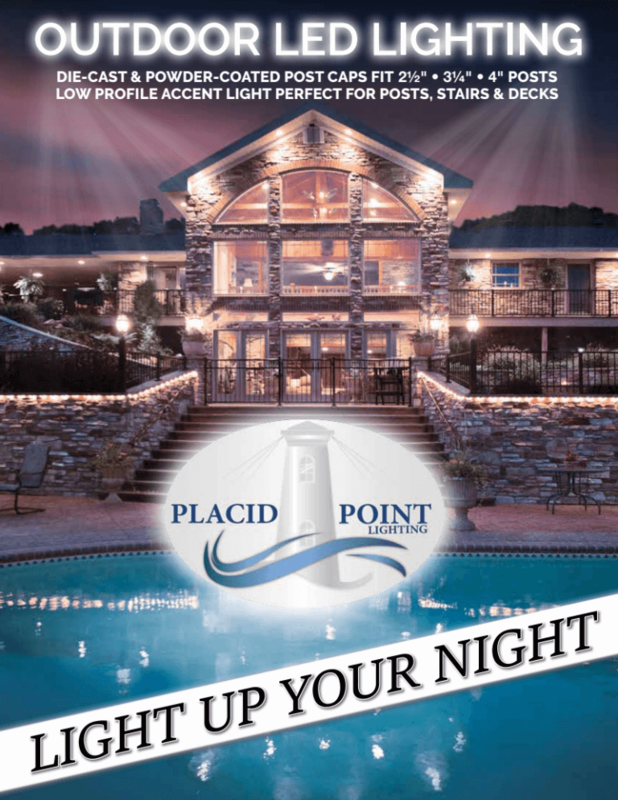 The easy-to-install post cap lights, downlights, and accent lights are mounted to railing and fencing posts to help illuminate patios, decks, steps, walkways, pool areas, and more for the ideal combination of safety, style, and security. They also increase overall curb appeal and home value, creating an ambiance that will delight homeowners—as well as their neighbors and guests. 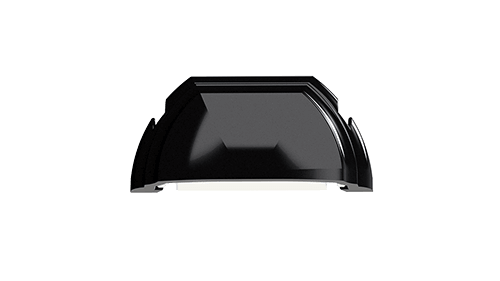 All of our outdoor LED lighting products produce a 3000K color temperature for a warm, white light that creates a calm, inviting feel. 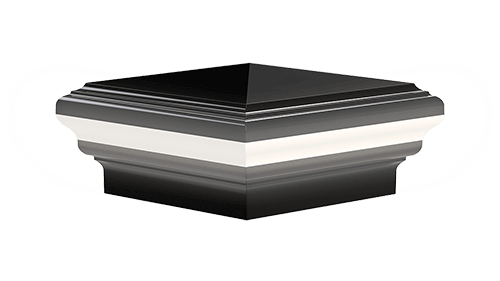 These durable powder-coated, die-cast aluminum products are made with corrosion-resistant protection against the elements. 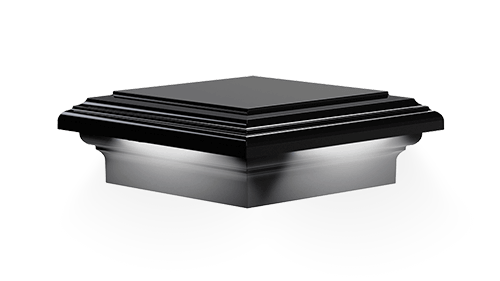 Each one can be powder-coated in any one of the 15 colors available. © 2019 Key-Link Fencing & Railing. All rights reserved.